This is a beautiful 2 piece necklace and earring set. I love these huge 1" crackled glass beads. Blue, green, burgundy added to 14mm crackled marbled rounds and 6mm black rounds. 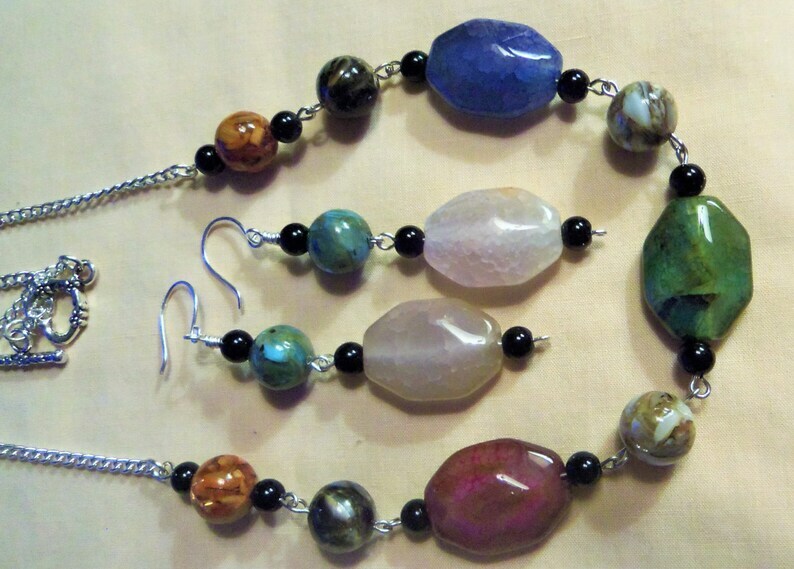 Beautiful colors blend together to make this 22" long necklace. I used silver chain and nickle silver wire to make the necklace and used a pretty heart toggle clasp to close. The matching earrings dangle almost 3" from hand hammered silver wire ear wires. A one of a kind 2 piece set.